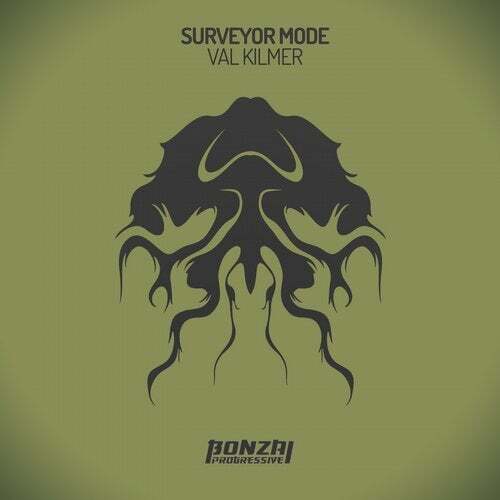 Italian DJ's and producers Matteo Tonioli and Marco Nascetti make up the duo, Surveyor Mode. The guys mark their Bonzai Progressive debut with the superb two tracker Val Kilmer. Driven by innovative musical inspirations offered by their city, at the age of 15 their passion towards club music reached into their souls. A key moment in their career was playing in a well-known club in Bologna that, in a short time, transformed a simple passion into a real job. From here they started to produce and were quickly signed to different labels. Tracks include Noster Annuit EP on DNC Limited, Arkham EP on Presslab Electro Label, Call Batman EP on Attik Room Records, More Blend EP on MO2 Records and Il Perito EP on Electro Top Records. Val Kilmer intros with a dark Techno style vibe as muted kicks are met with a solid wall of percussions. A monster deep and throbbing bass comes through and just totally owns the track, all the while a sinister sounding vocal is going off in the background. The track gathers pace as that bassline surges into a driving groove with up and down motions taking your mind on a trip. The track breaks into a surreal melody before those super solid dirty beats raise their head once again to take us back into its murky world for the duration. Top notch stuff that will definitely have bassbins quaking. 051 sets out with a cool percussion led intro complete with muted kicks and cool FX. The kicks deliver a monster blow when they are let loose with pounding prowess. A deep, solid probing bassline sits on the low end with intent as the track drives on. On the break the low end sounds are filtered out and leave behind a super cool sequence made up of delayed vocals and a wall of filtered sounds. We are then thrust back into the main groove and those super pumping kickdrums. A real slice of deep, dark and dirty grooves that will be a welcome addition to your dancefloor arsenal.